Remote Access to your data - when and where you need it. 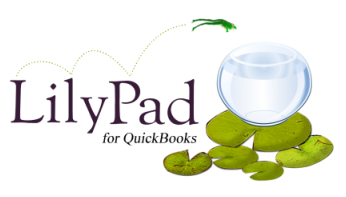 LP4QB, the latest product from LilyPad Applications, allows today's Desktop QuickBooks user the ability to access the data and functionality of their system from most web-enabled devices - anytime, anywhere. Turn a switch and your business runs 24/7! "The Most Important Sales Acceleration technology in the next 5 Years will be MOBILITY"
Interested in LilyPad for QuickBooks? Contact us or call 631-888-0207. LilyPad Applications is a designer of mobile software applications for small to medium sized business software users. 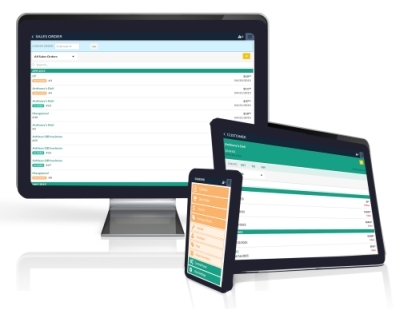 As the developers of the Number One add-ons for Fishbowl Inventory Software - LilyPad Mobile Sales and LilyPad Mobile Warehouse - LilyPad Applications understands the business needs of their customers. Simple, well supported products backed by professionals. LilyPad support is offered through a fully staffed domestic support and training group of dedicated technicians. LilyPad's Parent Company, Sharpe Concepts, has years of experience assisting manufacturing and distribution clients prosper in today's business environment. Their knowledge and experience influence every product they offer.